An abundant and rich cultural history and excellent museums to match. Ibiza has history in abundance. An island that was once one of the richest coastal Mediterranean cities saw the arrival of Phoencians, Punics, Romans and Moors. Then there was the arrival of the Christians, that saw the island not only lose its riches and position as an important trading post, it was also a time of numerous pirates' raids and a much simpler way of living. All this and more can be found in one of our selection of museums and if you need extra culture inspiration, head to our galleries and museums' page. Not one but two museums in two different sites. The first of the Archeological Museums, in Puig des Molins is on the site of a Phoenician necropolis that is considered to be the best preserved in the western Mediterranean. It was the place where these early seventh century BCE settlers, who gave the island its name, buried their nobles and you can still visit their tombs today. This excellent museum and its sister site display a range of Phoenician, Punic and Roman artefacts such as earthenware, statuettes and jewellery unearthed over time by archaeologists on Ibiza and Formentera. Two places where you can truly live and breathe Ibiza's storied past. Next to the Puig de Missa church in Santa Eulalia is an old typical rural house, where you can go and see how the people of Ibiza used to live. At Can Ros, you will encounter all manner of utensils and farming equipment showing a more pastoral and self-sufficient way of life, that existed for centuries before outside world interest began in earnest in the twentieth century. You can also see examples of traditional dress and jewellery; musical instruments for entertainment and weapons that would most likely be used to protect against pirate raids. A beautiful art collection is be found at the Contemporary Art Museum (MACE) with works of artists from all over the world. There are several large airy galleries set over four levels in a building that was Ibiza Town's military store room. As well as pictures and sculptures by artists from Madrid to Malmo, there is good deal of work by young artists from across the island. There's a permanent collection and changing exhibitions that go beyond the medium of canvas, with video and photography art. An inviting space to escape the heat of summer or the cooler days of winter. Named after two famous artist sons of the island, Puget Viñas and Puget Riquer and set in a fine old palacio. The Puget Museum shows a permanent collection of both artists' oil paintings and watercolors that depict early to mid twentieth century Ibizan life and landscapes. It is a visual art glimpse of the old rural life of the island during that time, showing interesting themes such as Ibiza's ancient customs and the role of women as the centre of the family. Look out for its great temporary installations during the summer. Not really a museum, but go with us on this one. 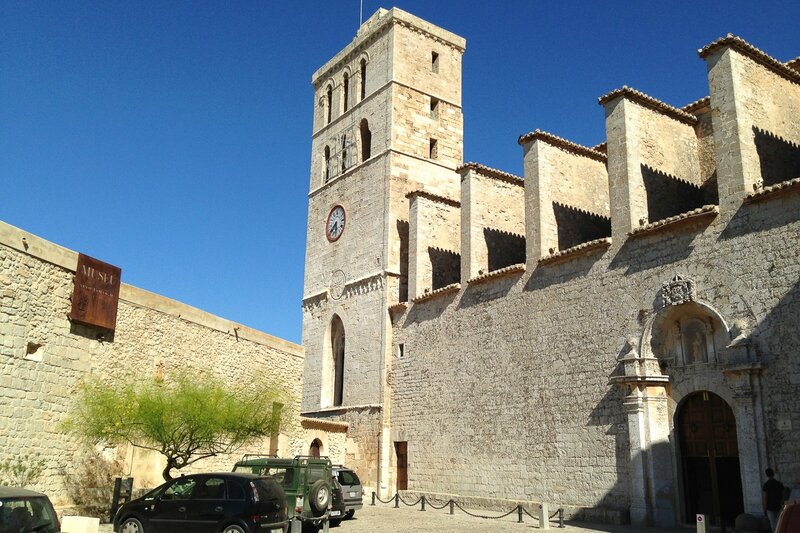 The medieval citadel of Dalt Vila high on the hill with its Renaissance walls is perhaps one of the best preserved open-air museums in the Balearics. It's where the Phoenicians made their second settlement and is chock full of history. Once inside, you'll see plaques throughout guiding you to various places of interest. Here you can see old roman statues, the remains of a Moorish wall, picture-postcard houses, the town's cathedral and some amazing views of the surrounding sea. In the summer, you can take a pit stop at a cafe or restaurant before continuing on and losing yourself in the streets.